The Climate Policy Initiative (CPI) just released an analysis of the “Financial Impact of the Coming Low-Carbon Transition,” which computed the potential value lost to stranded assets, or what fossil fuel companies will have to leave in the ground in oil, gas and coal. The CPI estimated the lost value at $1.1 trillion, plus another $1.8 to $4.2 trillion for the transport sector (think oil trains.) This total of $2.9-$5.3 trillion represents up to one quarter of total U.S. stock market value. While the CPI report was meant to be positive – operating savings (think of the expense of solar panels vs. a coal plant) would offset stranded assets, creating a net positive of $1.8 trillion—it still sounded terrifying. And while the report claims the worst impact will be on Governments, which own 50-70 percent of fossil fuel companies and generate substantial revenue through taxes and royalties, I felt distracted from my central concern about climate change. Could we absorb the coming disruption? First, acknowledge the need to transition away from fossil fuels. This tactic was first used by Shell Oil. In its 2013 New Lens Scenario, Shell acknowledged that such a transition was necessary and offered a non-disruptive way to achieve 100% renewable energy by 2100: to minimize economic disruption, transition first to natural gas. Even liberals like Amory Lovins endorsed the strategy. Second, address consumers directly with messages of safety and continuity. Oil companies are running network television advertising not that different from the “Morning in America” calm, optimistic commercials that put Ronald Reagan in the White House. You do get a sense of peace watching BP’s “Committed to America” spot. Exxon/Mobil’s “Fuel Connections” ad offers gas that “cleans intake valves, helping engines run smoother and reducing emissions” providing “better fuel economy.” Amazing. Third, and this might be a fortuitously-timed accident: they lowered gas prices. According to Thomas Friedman writing in the New York Times, U.S. and Iraqi oil companies have lowered their price per barrel in order to “bankrupt” Russia and Iran. Putting aside whether it’s a smart strategy to destabilize unfriendly, combative countries, the drop in oil prices could also change the economics of electric cars. Low gas prices coupled with messages about gas that gives “better fuel economy” cast doubt on the e-vehicle and hybrid claims are a better value. And as oil companies align themselves with the U.S. government’s foreign policy, they’ll have better leverage in their quest to open our East Coast to drilling. Finally, let’s not forget the threat of major economic dislocation. For stockholders, stranded assets add uncertainty to a stock market that’s already roiling. Another reason not to rock the boat by demanding a transition to renewables that’s too fast and disruptive. Safety is beginning to look pretty good, even to me. You just have to ignore the reality of a dying planet, which over the last week, has been easier to do. Ebola and ISIS dominate the news. An admittedly small sample of media shows a disturbing lack of climate change news. Even the Huffington Post’s reliable “Green” alerts have seemed stretched away from real climate news to include Ebola coverage, like the nurse’s dog story, and lots of news about the climbers who died in Nepal. It’s a shame how easy it is to distract us. Photo courtesy of sporst via Flickr CC. Carol Pierson Holding writes on environmental issues and social responsibility for policy and news publications, including the Carnegie Council's Policy Innovations, Harvard Business Review, San Francisco Chronicle, India Time, The Huffington Post and many other web sites. Her articles on corporate social responsibility can be found on CSRHub.com, a website that provides sustainability ratings data on 9,300+ companies worldwide. Carol holds degrees from Smith College and Harvard University. Is Climate Denial Coming to an End? Like so many, I was shocked a few weeks ago to read about the Heartland Institute’s billboard that showed a mug shot of Unabomber Ted Kaczynski next to the headline “I still believe in global warming. Do you?” I could not imagine what the positioning might mean from an organization that has strived so hard for credibility. Was this a joke akin to a schoolyard prank? Heartland quickly imploded from the fallout, losing at least one-third or $825,000 in 2012 corporate funding, almost its entire Washington, DC office staff and several board members too. Heartland’sseventh annual confab held at the end of May was a disaster, with speakers, sponsors and attendees pulling out as a result of the billboard. Heartland President Joseph Bast announced this will be its last conference. Even featured gala guest Czech President Václav Klaus failed to staunch the tide. More than one-third of expected dinner guests did not show. Where did Heartland get its outrageous hubris? Was it, as Paul Krugman suggested, simply that “wealth and power creates a bubble in which people are so eager to please the paymasters that they lose any sense of what it sounds like to those not already answering to the same paymasters”? Three weeks later, I got a more complete picture of the paymaster from Bill McKibben’s review of Steve Coll’s new book Private Empire: ExxonMobile and America Power. The climate denier’s arrogance may not have started with Exxon, the world’s 21st largest economy, but if for 20 years Exxon has persuaded US presidents that climate science is in doubt, why shouldn’t movement spokespeople feel they can do exactly what they want? 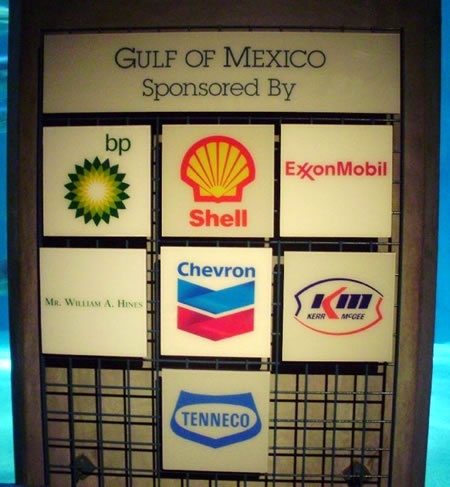 The really surprising thing is that Exxon has backed off its extreme stance, moving from a position of absolute denial – as recently as 2000, Exxon Chairman Lee Raymond insisted to shareholders that global warming is far from proven – to one of obfuscation. Exxon’s party line became one we’re all familiar with: climate change is complicated, the use of fossil fuel is inevitable and reliance on renewable energy is unrealistic especially in developing countries, where it would worsen poverty. "Some environmentalists call for a ‘save-the-day’ strategy to 'stop global warming,' saying it is better to be safe than sorry. Such a position seems logical until we stop to think: Immediate action wouldn't make us any safer, but it would surely make us poorer. And being poorer would make us less safe." Ever the optimist, I would argue that Heartland’s billboard was more than just a matter of living in a bubble: climate deniers are at a turning point. Think of the tobacco industry: In 1970, US regulations were instituted that mandated warning labels on cigarettes and banned TV ads. Ten years later, with cigarette consumption on the wane, Joe Camel was introduced to co-opt a new customer segment: children. In 1997 after a San Francisco attorney brought suit and the FTC filed a complaint, that horrendous campaign, was halted. Tobacco industry arrogance galvanized public opinion and regulatory zeal, leading to the 1998 court order that forced the tobacco companies to pay health care costs of at least $206 billion. The same pattern can be seen of the soft drink industry and obesity. A case could be made that Bloomberg’s New York City initiative to limit the maximum size of soft drinks to 16 ounces marks that industry’s turning point. The oil industry and petroleum supporters are backed into a corner on the issue of climate change. What will happen to climate skeptic groups like the Heartland Institute as public opinion and regulation put them out of business? Like wild cats and frat boys, they are brawling to protect their territory, lashing out even at their own expense. Overly aggressive behavior like the Unabomber billboard could predict that the end of climate denial is near. Just a theory. Let’s watch what happens next. Photo published under Creative Commons license. Courtesy of hmcotterill on Flickr.